I am a painter and printmaker based in Crewe. I originally trained to degree level during the 1970’s, and returned to painting when an enforced rest due to injury gave me time to establish herself as an artist again. I completed a Masters Degree in Fine Art in 2003 and have never looked back! I continus to exhibit and sell my own work in solo exhibitions, and as part of the Cheshire Artists Network,The Regional Print Centre, and Outline Art groups. More recently I have opened a shop on Etsy, the online marketplace. Work is held in private and public collections as far away as Norway. 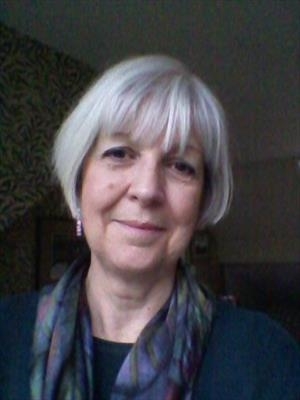 As a freelance, qualified Further Education tutor, with many years experience, I have run classes and workshops in both painting, printmaking, and handmade books, and have facilitated staff development activities. I am also happy to design work for both domestic and commercial interiors schemes. April 2012 Crossing Borders. Collaborative exhibition, with CAN and Welsh artists. Pavilion Llangollen.